After spending the better part of a year observing the wonders of Tumblr from a close range, I decided that Oberlin should try and cultivate a following on our college Tumblr. Summer was the perfect time to do this: Most students are away from Oberlin (and missing it desperately); recent graduates are only realizing how much they miss the place they called home for four years; and rising high school seniors are gearing up in their college searches. Tumblr’s simple microblogging setup is reminiscent of Twitter. Both microblogging platforms offer users the ability to appreciate posts (on Twitter, you can “favorite” tweets by clicking a star icon; on Tumblr, you can “like” posts using a heart icon) and repost or “reblog” them quickly to a personal account. In three months, we gained almost 200 followers—more than one a day. Better yet, these new followers were interacting with us with “likes” and reblogs galore. It’s likely that someone who saw one of these liked posts or reposts would trace back to the original poster (us!) and start following us, too. Win-win. So, how do you build an audience on Tumblr? Observe. What’s your audience doing? Start by creating some tracked tags on your Tumblr and listen. Read what people are saying, what they’re posting and what gets reposted. Become familar with the language your audience is using, then you can hop in. Give them what they want. There are particular kinds of content that tend to tumble well: images, videos, quotes and sometimes short, punchy, original writing. I’ve been expanding from just posting photos via Flickr’s Tumblr plugin to pulling out compelling teasers from student blogs and Oberlin news stories (and of course, linking to the original content as the source). Tagging is king. Users search Tumblr using tags, and much like Flickr, you can use tags to find similar content that you’ve posted in the past. A well-tagged post might go viral based entirely on the tags and the people tracking it. Share the love. If someone else is talking about your institution, show them some love. Like a post if it mentions you kindly, reblog it if you think it’s relevant to the rest of your audience. When people reblog, occasionally they’ll comment too, and reblogging their content back allows for an actual conversation. In both of these scenarios, your Tumblr username will be associated with that post, which is great for getting your account’s name out there. So, you’ve got a Tumblr. You’re figuring out your audience. How do you keep them tuned in? Ask questions. If you end your post with a question mark, you will be offered a “let people answer” option before publishing. This means exactly what you think: Tumblr will enable a little answer box right below your question post, which will show up as a recorded answer with that post forever. It’s similar to a reblog, but without the additional bits of information (only the username and answer will be displayed). Enable the ask box. While we have many means by which an incoming student can ask questions, Tumblr provides us with one more: the ask box. And although Tumblr is not strictly anonymous, it doesn’t tie students to their personal Facebook or email account. After receiving an “ask” in your Tumblr inbox, you can choose to answer publicly or privately—an option you can decide upon when answering. 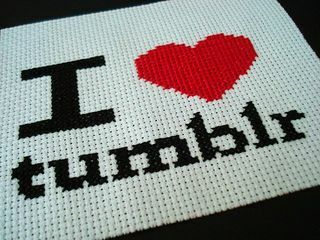 If you choose to enable anonymous questions, you can even connect with non-Tumblr users who find your blog—particularly important since the non-traditional blogging form of Tumblr does not allow for comments unless one is a user. Capture your students’ voices. Since Tumblr has a built-in younger audience, it works well with students. As I mentioned in my previous post, Tumblr is a quick and dirty way to make a website. A number of student orgs at Oberlin have picked up on this and use the platform as a way to promote sponsored events and connect with students. Reblogging these posts are a great way to project an already present student voice. Capitalize on procrastination. During finals, when I knew that many students would be taking “Tumblr breaks” as often as “Facebook breaks,” I asked students what they were eating, what they were listening to, where they were working and what other websites were serving as a distraction. Are your students on Tumblr? What are they sharing?